Per capita consumption of dairy beverages in the U.S. has seen a 22 percent plunge between 2000 and 2016, according to new data. 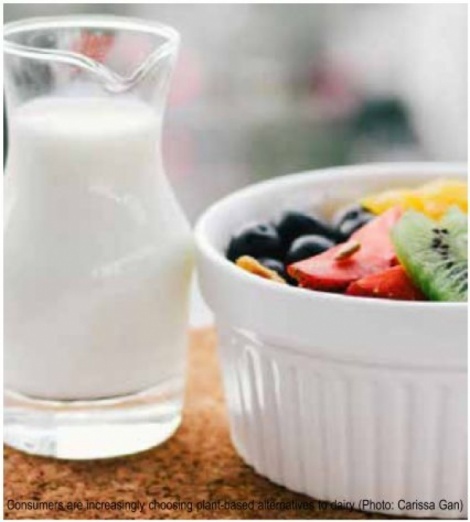 A new report by research firm Packaged Facts has shown that individuals living in the states have decreased their dairy consumption from 197 pounds to 154 pounds each throughout the 16-year period. The consumer shift toward plant-based dairy alternatives due to increased public awareness of the health risks of dairy has prompted the decline in consumption, say researchers. FLEXITARIAN The report has also attributed the shift to the increasing number of people following flexitarian diets. It reads: “Some consumers are concerned about the health implication of hormones and antibiotics used in producing some milk, the healthiness of milk in general, and the fat content of milk. “While plant-based diets are trendy, there hasn’t been a significant rise in the percentage of the population (15 percent) claiming to be vegan or vegetarian.